Swedish artist, Richard Winkler, worked as an illustrator for magazines, advertising and television before moving to Bali in 1997 to become a full time painter. This is Winkler’s seventh exhibition. 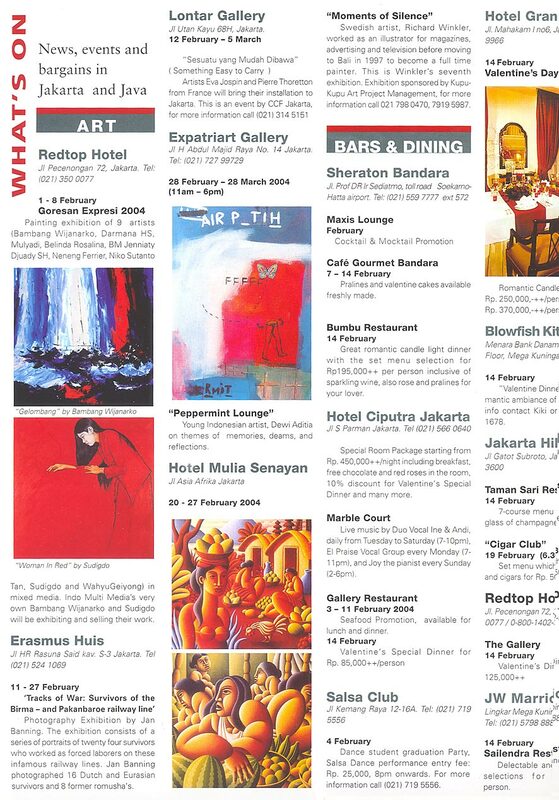 Exhibition sponsored by Kupu-Kupu Art Project Management, for more information call (021) 798 0470, 79195987.